The Department of History of Art & Architecture, University of California, Santa Barbara, invites applications for two tenure-track Assistant Professor positions in Architecture, Urbanism and Visual Culture of the Ancient World, and Art and Architecture of the Medieval World beginning July 1, 2015. Candidates are expected to have a Ph.D. in the history of art and/or architecture or a related discipline, with demonstrated excellence in research and teaching to complement the department’s global strengths in art and architecture and its Architecture & Environment Emphasis. UC Santa Barbara encourages interdisciplinary studies and there will be opportunities for contributing to an Environmental Humanities initiative on campus, and for engaging with departments such as Classics, History, Medieval Studies, and the Ancient Borderlands Research Focus Group. The successful candidates will be expected to teach a wide variety of courses ranging from undergraduate surveys to advanced graduate seminars. The department is especially interested in candidates who can contribute to the diversity and excellence of the academic community through research, teaching and service. We seek a colleague whose research focuses on the cross-cultural dynamics of the ancient world, including classical Greece and Rome and their far-flung territories, but also other regions and empires of the ancient Mediterranean. The ideal candidate will be theoretically informed, bringing critical perspectives to their teaching of ancient architecture and urbanism, with broader expertise in such areas as archeology, museology, visual culture, and/or digital media. interchange in the medieval world. While the candidate’s research may focus on any medium and scale of analysis — painting, sculpture, illuminated manuscripts, architecture, and cities — we will expect the successful candidate to demonstrate a facility in exploring diverse media to engage larger issues related to social, political, and technological change in the medieval world. 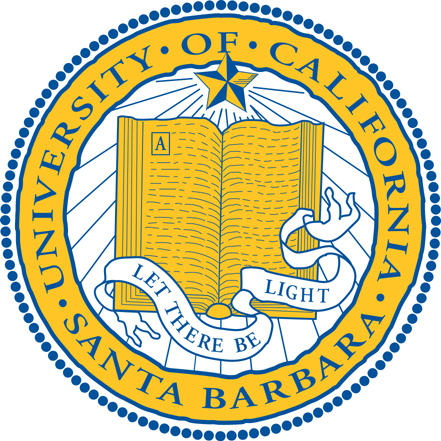 The online application will require (1) a cover letter, (2) a statement of research and teaching interests, (3) a curriculum vitae with full contact information, (4) one or two publications or writing samples (5) three letters of recommendation submitted directly by referees through https://recruit.ap.ucsb.edu. Please send queries about the position to search@arthistory.ucsb.edu. The subject line of the email must clearly state the position for which the candidate is applying. For full consideration, submit all application materials by October 18, 2014. This entry was posted in Jobs and tagged Ancient World, Architecture, art, jobs, Medieval World, Santa Barbara, Tenure-track, University of California, urbanism, Visual culture on September 9, 2014 by michaelazoeschg.